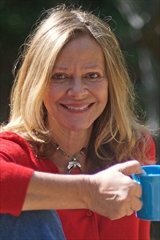 Joyce Maynard is a gifted writer that draws you into her stories by making you have strong feelings, whether good or bad, for the characters. In the case of this book, all the characters are not what they seem. You love Ava and Swift Havilland for the kindness they show Helen, but soon you know that something’s going on under the kindness. You’ll go through many emotions while reading this book. If you’re like me, just when you think you know what’s going on, something else happens to let you know you’re wrong. If you like a good thriller and excelent writing, this book should go on your list to read. Find out more about Joyce at her website, and connect with her on Facebook. I liked this one an awful lot! Lots of emotions for sure. Maynard has never disappointed me – I loved this book too! I’ve never read Joyce Maynard… this might be a good place to start! 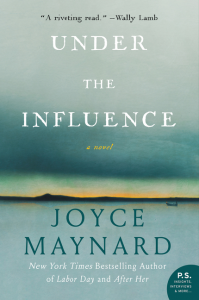 I loved Under the Influence, too, and have enjoyed everything I’ve read by Joyce Maynard, beginning with the book she wrote as a teenager. I’m not usually into thrillers, but this sounds good! This sounds like a good book. I will have to add it to my list of ever growing books to be read!! Vicki, thanks for sharing your thoughts about this novel. It sounds emotional and compelling. I have not read any of Joyce Maynard’s work yet, but I hope to before too long. I love it when an author can make me feel strongly, either good or bad, about the characters in the story. That’s how I get most invested in a book.